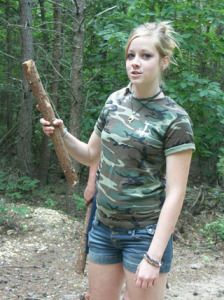 Our unique teen and family programs introduce children and adults to primitive living skills such as fire by friction, shelter building, wild edibles, baskets, pottery, flint knapping, hide tanning, animal tracking, camouflage and movement and so much more. 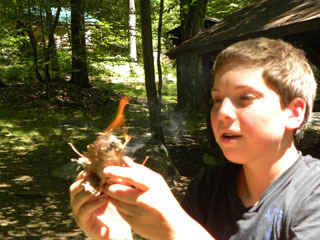 These, and a wide variety of awareness experiences, help inspire children to experience the Earth in a new way. 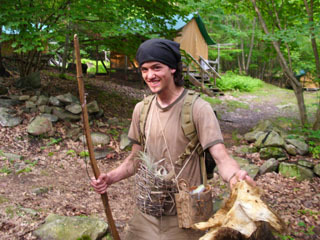 We utilize “Coyote Teaching” to motivate children to learn and so nature itself can become their best teacher. Part of the parent program is to introduce parents to the Coyote Teaching methods so they can continue to benefit from this approach to learning when they return home. The skills we teach were passed down by Stalking Wolf, an Apache elder who spent his life perfecting his skills and learning skills from every indigenous culture he encountered. He taught Tom Brown Jr. who now passes these skills on to adults and who started Children of the Earth (COTEF) for children and families. When children learn these skills they are not only helping preserve vanishing knowledge but they achieve something very rare in today’s world; the ability to take care of themselves no matter where they are. This creates a confidence and sense of accomplishment that will truly shape their future, whether in the woods, in school or at home. Philosophy/Jedi Training- This class explores Stalking Wolf’s philosophies and exposes participants to a broader scope of his experience with nature than just the physical skills. 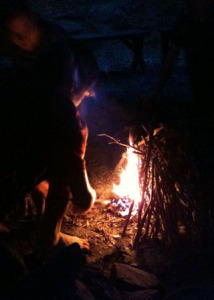 Way of the Woods- Participants focus on the survival skills, learning advanced shelters, new fire making methods and many new skills to improve their survival experience. 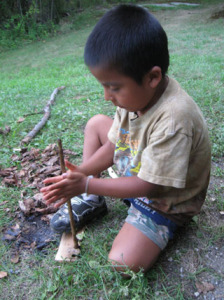 Scout and Advanced Scout- In this class, participants begin to explore the lifestyle of the Apache Scout who was the eyes and ears of their people. Intern Program- once you've attended a class you are eligible to return as a volunteer Intern if you are 15 or older. You help with many of the behind the scenes tasks and help create a wonderful experience for the kids while practing your own skills. 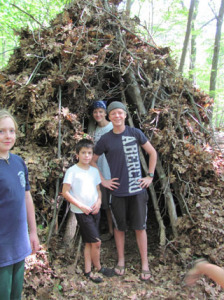 Family Survival Weekends- these shorter programs are perfect for the family and include all the basics of survival including shelter, water, fire and food and include many activities to increase comfort in nature and expand awareness. 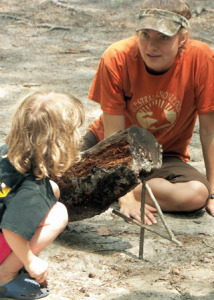 COTEF programs provide a unique sense of community, instill a passion for nature and help the whole family come closer to the Earth.